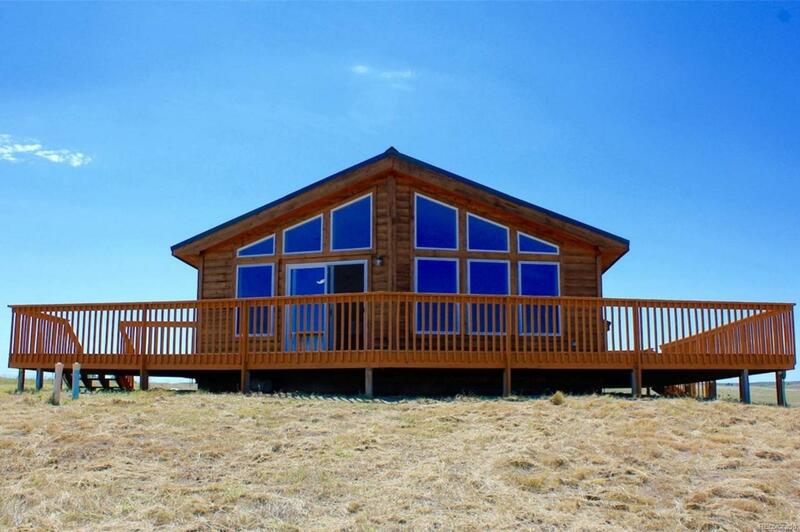 The nicest home around on 40 acre ranch! Recently remodeled throughout ~ Bright great room with window wall offering gorgeous views, cozy gas fireplace and dining area ~ Open to kitchen with bonus breakfast bar island and updated appliances! Newer carpet & paint throughout. Huge master suite with his & hers walk in closets & private bath. Tons of room in full basement with 10 ceilings. Additional 220V power to property. Property is complete with barn, dog kennels, corral & storage shed. Miscellaneous barn, corral & dog run supplies will remain with property including any items in shed/barn. Close to town, great for crops or livestock and plenty of room to grow! Professionally cleaned and ready for move in!